In recent years, laser vision correction surgery has helped many people improve their eyesight and has even allowed many people to get rid of their glasses and contacts all together. At Vold Vision, LASEK (laser assisted epithelial keratomileuis) is one option among several for laser vision surgery. The board-certified opthamologists and eye surgeons at Vold Vision are pioneers in laser treatment, offering solutions depending on your unique vision needs. LASEK is a treatment that Dr. Vold may recommend that varies slightly from LASIK, reserved for patients with corneas that are too thin for LASIK or have ocular conditions that cause them to experience itchy and dry eyes. Just like our other laser vision correction surgeries, LASEK is a treatment that has evolved over time, experiencing numerous breakthroughs and offering patients outstanding visual outcomes. Dr. Vold and his team of talented eye surgeons will work with each patient to determine if LASEK is the right choice in laser treatment. The reason we use the term LASEK instead of PRK is that PRK has continued to evolve with the aid of technological advancements in excimer lasers, wavefront diagnostics and custom treatments since it was first introduced in the 1980’s. Because the procedure evolved so much, the name evolved as well. LASEK is an advanced technique of PRK (photo-refractive keratectomy) that removes the epithelium, then re-shapes the surface of the cornea to re-generate the eye cells. LASEK surgery improves the overall shape of the cornea to eliminate nighttime vision problems, such as halos. After LASEK surgery at Vold Vision, many of our patients are able to enjoy a life without glasses and contacts that can be uncomfortable or get in the way during certain activities and sports. "My husband and I both received lasek 18 months apart and had great experiences prior to surgery and following them! Where you go matters! These doctors know what they are doing and their staff is top notch!" "LASEK A++ - Vold Vision A++!I have been a patient at Vold Vision for one year. I was first introduced to Vold Vision when I suffered a severely scratched eye. Dr. McFarland diagnosed the injury immediately and I was fully healed in a couple days. About 8 months later, I decided to have LASEK done. I knew immediately the doctor I planned to use, Vold Vision. I had total faith in their ability, service and dedication to my procedure. The doctor and staff were 100% accurate on explaining the operation, what to expect and the healing process. All I did was follow their guidance, which was simple, take vitamins and follow the eye drops schedule. I am seeing 20/15 and my eyes continue to get better each day. If you are considering LASEK, I highly recommend attending the after hours event, you get to watch a live procedure and talk to Dr. Vold about the LASEK proedure. So, if you want to get rid of glasses and contacts, call Vold Vision! I could not be happier! I am amazed at the outcome!" 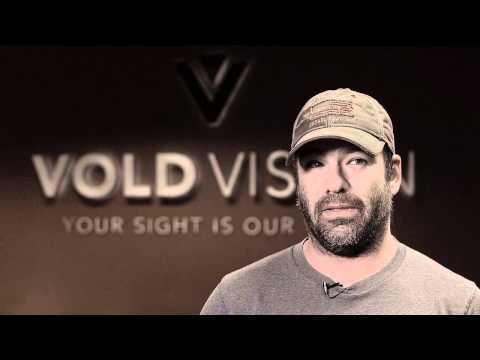 "My experience at Vold Vision was fantastic. Getting lasek surgery from Vold Vision was a great decision. Life without glasses or contacts is so much easier! The staff was so helpful, wait times were minimal and the post-op care was always available." "My husband received lasek here 18 months ago and I just did it last Thursday. I'm only a week out and I feel like I have I swapped out old eyes for brand new ones! Where you go really matters. I was never one who would consider this type of procedure because of nervousness and I definitely wouldn't have trusted anyone else but our Vold Vision family with my vision! The doctors, Christine, the nurses, and the front desk staff are all the best. Personable, friendly, and will help anyway they can! My appointments were always the length they said and very little wait. As someone who has worn glasses since I was 9, almost 20 years I am so grateful to have made this decision! Thank you guys!" "I am so glad I took the time right around this time last year to go to one of Vold Vision's after hours screening. It was very informative and the screening was simple for me. That night I scheduled my surgery. I was a little nervous, but the surgery was very quick and pain less. The staff has gone above and beyond to meet my needs. I am a very special individual as my eyes are unique; so unique that I have had Lasik in one eye & Lasek in the other. I can testify to both of t...hese surgeries which makes me very unique. I know how both feel, the recovery, sight, and how it is almost a year later. Sometimes I forget what it was like to even wear glasses! I love being able to just grab a pair of my favorite sunglasses and go about my day! I don't have to grab my glasses when I first wake up anymore; I can just see! Everything in my life has gotten easier which was something I didn't expect. If you're looking for top of line equipment & quality care this is the place to go. Even with months between my appointments staff still knows me by name & I'm not just some other patient." LASEK is a good option for any patients over the age of 18 who wants to eliminate or reduce their use of vision correction (glasses or contacts). Candidates for LASEK should have the same eye exam results for at least one year and cannot have any other eye conditions or diseases. LASEK may be a better option than LASIK for patients who have thin corneas or dry, itchy eyes. LASEK is also preferred over LASIK for patients at high risk of a trauma or injury to the eye (athletes, police officers). We will help each patient determine if LASEK or another laser vision correction surgery (LASIK or SMILE) is best for their needs and goals. On the day of the patient's LASEK surgery, the eyes will be cleaned and covered with sterile bandages before numbing eye drops are applied. Most patients are fine with eye drops alone, but a sedative may be added to help with any anxiety or fear. After the eyes are numb, a holder will be placed to keep the eyelids open and prevent blinking during the treatment. The doctor will remove the protective covering over the cornea before the laser re-shapes the cornea. This should take less than a minute since pre-operative eye exams gather information and plan the treatment. After the surgery is complete, a temporary contact lens will act as a bandage to protect the eye and minimize discomfort. Patients should avoid sun exposure and other contaminants (dust, smoke, pollution) while their eyes heal. Patients may have some discomfort for 3 – 4 days after their surgery, but light sensitivity may be a concern for 4 – 6 weeks. Patients are typically able to drive and work within 4 – 5 days after their surgery. Patients who are farsighted or have a high astigmatism may require a longer recovery period. Full results will typically develop 1 – 3 months after surgery, but patients may still see improvement up to 6 months after their surgery. After LASEK surgery, patients typically do not need glasses or contacts for most activities, but this will vary. However, the eyes continue to age normally, so some patients may develop presbyopia, a condition that makes it more difficult for patients to focus on nearby objects. This is usually treated with reading glasses that can be used by the patient as needed. Vold Vision offers a touch-up or enhancement for free within one year of a patient's laser vision surgery. After one year, treatment will be discounted according to a pre-set schedule. Schedule a consultation at Vold Vision to learn more about LASEK and other laser vision correction surgeries that can allow you to get rid of your glasses and contacts. Consider the time and expense of glasses or contacts over your lifetime compared to the freedom and one-time cost of LASEK vision correction surgery. Ask about insurance we accept, payment methods, finance options, and affordable payment plans offered by Vold Vision in Northwest Arkansas during your private consultation or an After Hours seminar at our office in Fayetteville.